Many school districts around the country have changed their start times. View some of their stories below. This article from U.S. News Education considers that new research suggests academic benefits with later high school start times, but officials say logistical issues can make a shift difficult. 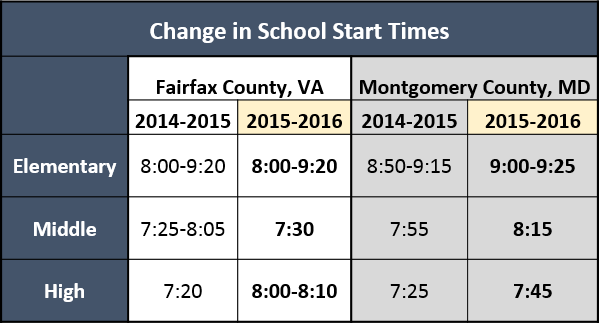 Click here to see a more detailed history of School Start Times in Fairfax County. Click here to see a more detailed history of School Start Times in Montgomery County. In April of 2012, the Fairfax County School Board adopted a resolution with the goal of the Fairfax County School Board to start high schools after 8 AM. The Board issued a Request for Proposals (RFP) for a consulting firm to perform research of school systems with later start times and prepare a specific plan for FCPS based upon that research. In the fall of 2013, the Howard County Superintendent requested the formation of a work group to examine research, school bell schedules, and an initial survey of the impact on transportation, student activities/athletics, and family/community needs. From September 2013 to January 2014, the group gathered, reviewed, and analyzed information relevant to the high school start time. 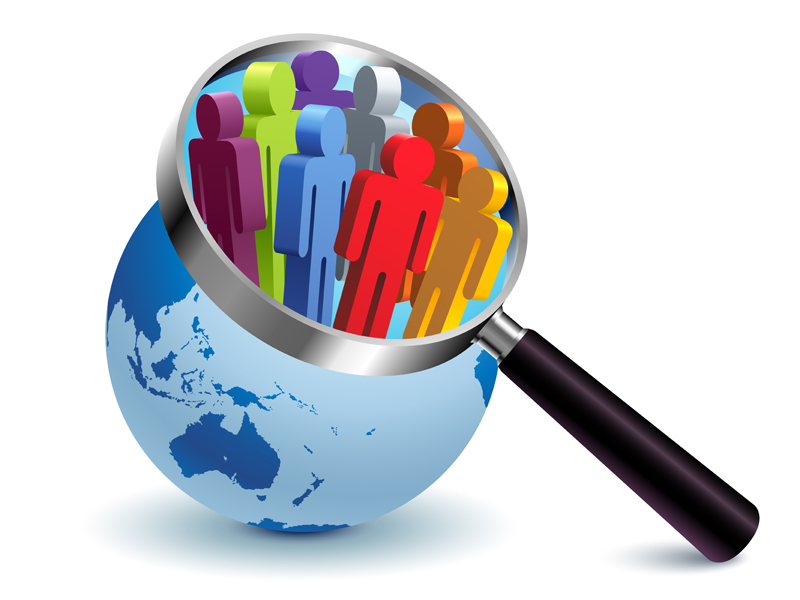 Their preliminary report, presented in February 2014, highlights the need for further study, input, and analysis. In December 2012, Montgomery County Public Schools (MCPS) Superintendent Dr. Joshua P. Starr directed staff to convene a work group�including community stakeholders�to develop options to address students� need for more sleep, and in particular, to consider adjustments to school start times. The 2013 High School Bell Times Work Group presented its findings in September 2013. During the 2013-2014 school year, Dr. Starr combined discussions of changing school start times with the extension of the elementary school day by 30 minutes. In June 2014, Dr. Starr announced that he was withdrawing his support of the options. In 1999, North Carolina created a report summarizing issues related to the feasibility and advisability of delaying the start of the school day in order to provide students with constructive projects and tasks during the late afternoon hours of the school week. In August 2015, The Durham County Public Schools Board of Education voted to change high school start times to 9:00 a.m.